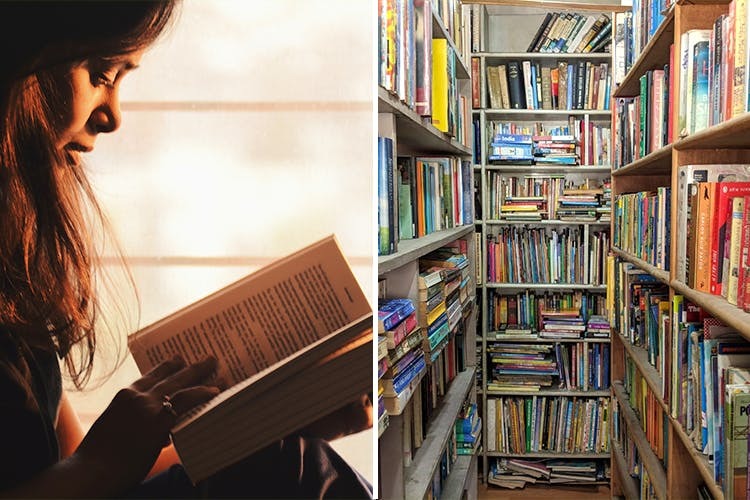 Bookaholic Library is a small, family-owned and operated library, located right next to Nagarwala School in Kalyani Nagar. Started by a retired couple from Mangalore; Bookaholic Library used to be a convenience store that was converted into a library (around 7-8 years ago). Mr. Fernandes, the owner, says that profit is not the motive – just a love for books. His family are all bibliophiles, so they library initially began from their own personal collection of books and magazines. Bookaholic Library aims to encourage reading habits for people of all ages, but especially children. Here, you’ll find all types of genres: from romance to motivational, fiction, business, biographies, comics, magazines et al. Membership will cost you INR 200 per month, with a one-time refundable security deposit of INR 300. The library isn’t big enough to sit around and read in, but there’s no limit on how many books you can borrow at a time. Choose from any of the titles in their collection, which spans 10,000+ pieces of literature. There’s also a small pile of pre-owned books that are up for sale if you should feel the itch to buy one. For such a reasonable membership fee per month, it sounds like a superb deal to us! People donate books to the library, as well. In turn, the library also donates any duplicate books they have – to their church sales, for charity. At the counter here, you can also pick up instant noodles, biscuits, honey, chiwda, and a few odds and ends.